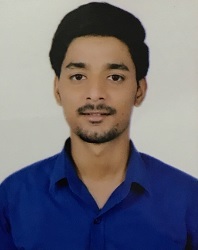 A first year MBA (Business Economics) student, I am an enthusiastic fresher with highly motivated and leadership skills having bachelors degree in Business Economics (Finance and Marketing) from University of Delhi, with first class marks. My objective is to take up a career in business management and be a corporate personnel in future. I have worked as a Research Analyst intern where I prepared corporate reports from the scratch on more than 17 companies for our clients like Dun & Bradstreet and Singapore Commercial Credit Bureau. I also bear a working knowledge of statistical modelling tools and techniques like Python, SPSS, EViews, Microsoft Excel and Linear Regressions. I always try to seek out challenging environment to prove myself. During my undergrads, I have been a part of many societies which helped me develop leadership skills & inculcate good team player qualities. I was the General Secretary of Enactus Aryabhatta, Team leader or our annual college fest and core team member of our departmental sports fest.